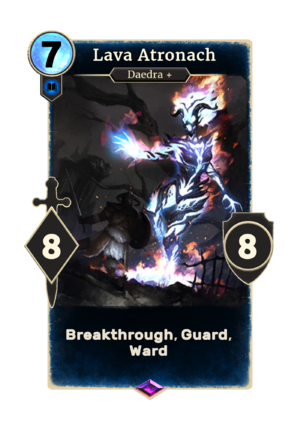 Lava Atronach is an epic Intelligence creature card. Three Lava Atronachs are shuffled into your deck when a Conjuration Tutor is summoned, the monthly card for June 2017. It can also be created by Mighty Conjuring.